Silent auctions are a great way to raise money for any non-profit organization. The Silent Auction Handbook: A Step by Step Guide to Holding Successful Silent Auctions is your complete guide to holding a profitable and stress-free event. Everything you need know to run a fantastic silent auction event is included in this kit… from how to find amazing items for your auction to the best ways to maximize revenue at your event. Whether you are starting a new event, or adding a silent auction to your annual fundraiser, a silent auction is a great way to raise money for your school, church, or other non-profit. Tens of thousands of organization successfully use silent auctions to help them raise more money each year. I thought the handbook was OUTSTANDING!! I have already read through it and it has covered all of the bases. I found it to be extremely helpful, especially for a first timer! With your advice, tips and way of approaching how things should be organized, I am well ahead of the game. Yes, it will be a lot of work but I am going to implement your ideas to ensure a successful and FUN event! Silent auctions are great money-makers, but they can also be time-consuming and stressful. The Silent Auction Handbook takes the stress out of holding a great silent auction by providing detailed, step by step instructions for the entire event process. These easy to follow instructions will have you up and running in no time. Simply put, this is the best guide to running a silent auction available anywhere. 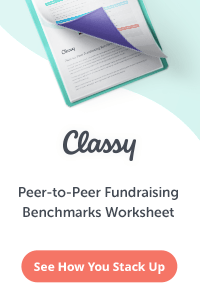 This Excel spreadsheet template is the exact same template used by kit author Joe Garecht to organize and run silent auctions that have raised hundreds of thousands of dollars. You can use this template to manage and organize your own auction, the same way the pros do. Also included is a sample auction solicitation letter. This sample letter has been used to successfully generate thousands of items for silent auctions, and it is included in this kit for you to customize and use for your next event. Silent auctions are people-intensive events. Large silent auctions require the help of numerous volunteers and staff. Customize this staffing grid to help you organize and manage your team. This professionally-written letter template has been used to solicit hundreds of thousands of dollars in sponsorships for silent auctions. Your organization can customize this letter to generate sponsors for your next auction event. The Silent Auction Handbook was written by Joe Garecht, the founder of The Fundraising Authority. He has spent over a decade in the trenches helping organizations of all types raise the money they need. 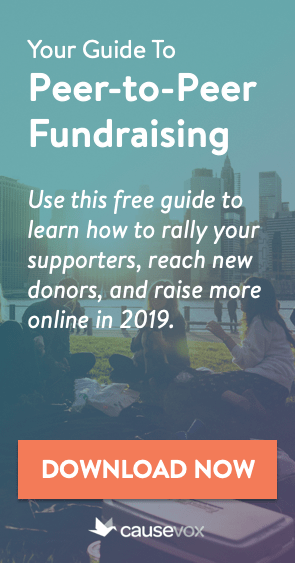 As the executive director of a major non-profit, the director of development for a social service agency, a non-profit and political fundraising consultant, and an entrepreneur, Joe has run countless successful fundraising campaigns and silent auctions, and now is sharing everything he knows with you in The Silent Auction Handbook. Using the strategies outlined in the Silent Auction Handbook enabled our organization to triple silent auction revenues at this year’s annual fundraiser. Last year, our Silent Auction was a logistical nightmare. Thankfully, this year, we found the Silent Auction Handbook. The kit gave us step-by-step instructions for organizing all the details at every stage of the event. The SA Handbook was required reading for staff and Board members this year. It gave us an orderly system that everybody liked and could easily work with. If this is your first time holding a silent auction event… don’t be intimidated. You CAN do this! 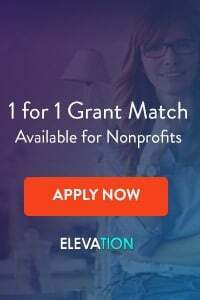 Whether you are launching a new event, adding a silent auction component, or are a volunteer or board member tasked with putting together an auction, everything you need to know is in this kit. 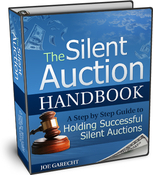 The Silent Auction Handbook: A Step by Step Guide to Holding Successful Silent Auctions is a collection of five e-books, samples, and templates which you can immediately download and either read or print out right in your own home. After you order, you will be e-mailed a link to download your kit immediately so you can get started today. I love this book, it deals with the concrete and provides us with actual tools (to raise more money!) Thank you for this great resource and tool, it has helped us with our silent auction planning! The Silent Auction Handbook is backed by our 100% No Questions Asked Guarantee. 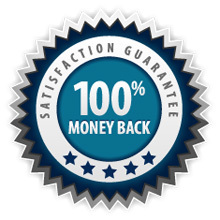 This means that if for any reason you are not satisfied with your purchase, you can get a complete refund – no questions asked – just by contacting The Fundraising Authority. The total cost for this kit, including the book, templates, spreadsheets and samples, is only $27. When you order today you’ll get immediate access to all of the items in the kit, along with our no-questions asked guarantee. Everything you need to run a successful silent auction is included. Get your copy today!